Today the World Cup begins in Brazil. This topic has been explored in various ways and sometimes the ideology of the debate has caused impassioned conflict, especially this election year. But what should we in fact see? As an event, the Cup is an opportunity for reconciliation between peoples. The passion for sport is very healthy for humanity. Sport has, in many contexts, been a source of dignity of life and a celebration of peace. What we should not permit, as it were, is the commodification of sport to further affirm inequalities and injustices. Football [or soccer] on its own is not to blame for the ills and state to which its leaders and stakeholders have reduced it in the name of capitalist exploitation. Lovers of the sport can’t be anesthetized in exercising their citizenship — which, unfortunately, has happened in the last few years. We should guarantee that football is not exploited as a commodity by huge multinational corporations solely interested in profits. Businesses and media organizations have captured the beauty of the sport and are offered huge profits. 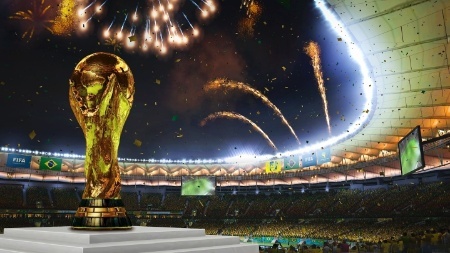 FIFA — which in theory is a beneficial organization – will generate 5 billion dollars from the Cup in Brazil. Sponsors will gain another huge amount. And Brazil? The Brazilian people have demonstrated much maturity in confronting the way the Cup is being managed, and we cannot give up our stance that people are more important than profit. The billions spent on works related to the Cup should, in the name of equity, be invested in implementing social rights and public services in our country. Every cent invested in the Cup should be converted into bettering health, education and public transport and the many other basic services in a country like ours of such large inequalities. Lines should exist at every entry to the stadiums, and not at public health postings! But football is not to blame for this. Who holds the blame are those who exploit it for business and politics. We should be attentive — that at this Cup, we have one eye on the ball, and one eye on our citizenry. Celebrating the Cup as an event of reconciliation and humanity is very good. Letting ourselves numb ourselves in regards to our civil responsibilities is like playing with a flat ball! May God bless our people in these days and may we exercise hospitality as we always do!